In its simplest form, a historical fantasy novel is a fantasy story that is set sometime in the past. But when I started writing the first book in my historical fantasy series, The Krampus Chronicles, there was nothing simple about approaching this particular genre. At first it was the initial research, rivaling that of some whimsical dissertation, that proved to be challenging, but later the hardest part surprisingly turned out to be letting go of all the accumulated research. Similarly to writing anything nonfiction, the outline for my book consisted of detailed notes, elaborate family trees, and endless lists of websites and books, rounding out a complete bibliography. So when I began actually writing The Krampus Chronicles: The Three Sisters, I found myself at times forgetting that it was all make-believe, feeling instead a strong obligation to keep the book as historically accurate as possible. However, this soon proved to not only be quite improbable, but also impossible. 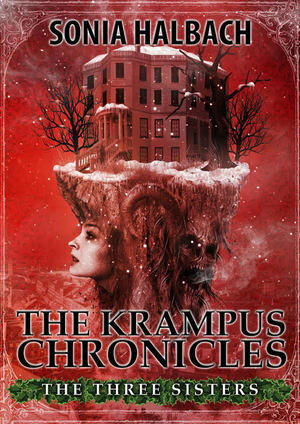 The Krampus Chronicles deals with the historical figures, Clement Clarke Moore and Major Henry Livingston, and the real-life author controversy surrounding the poem “’Twas the Night Before Christmas”. Members of Moore and Livingston’s extended families round out the main characters in my novel. Initially, I had hoped to keep these families as accurate as possible, but this plan soon conflicted with the pace and arc of the story. Although I was hesitant to cut and paste these family trees, adjusting members for the best interest of the book, it proved to be necessary. The character list was already long enough. And as I saw it, the reader wasn’t going to appreciate me crowding the Great Room of Clement Clarke Moore’s Chelsea Manor with additional names and faces. No, the fat had to be trimmed. Characters need to go and some needed to stay. And ages of characters were raised and lowered at will. Besides the characters, there were additional roadblocks encountered when trying to balance the historical accuracy of a fantasy novel. Some places that worked perfectly for the story’s setting, although real, weren’t always in existence yet. But I needed them. So they were included in the book. Other times I was forced to cut out historical tidbits, for even though they were interesting and certainly relevant for the times, the background wasn’t vital to the actual story, and tended to weigh the pace down. Not many readers wanted to receive a history lesson on the Kansas-Nebraska Act or the abolition of slavery in the state of New York while in the middle reading a fantasy book. The appeal with writing fiction had always been the ability to create anything, with the author only limited to what the mind can think up. If something turns out not to be working in the story, there’s always the freedom to change it. But when writing about actual people and places, I found the urge to not stray from the historical facts to be strong, even at the expense of the story. And in the end, sometimes it’s better to serve the story than history – at least when it comes to fantasy. Sonia Halbach was born in Minnesota, raised in North Dakota, and attended college in South Dakota. So naturally, a week after graduating from Augustana College, she hightailed it east to try New York City on for size. And it turned out to be pretty big. But with a passion for history, Halbach soon became infatuated with New York City’s rich collection of stories. When Halbach’s not trying new flavors of bubble tea, civilizing her cats, or conjuring up schemes to get locked inside The Morgan Library & Museum for a night, she can be found researching forgotten stories on the island of many hills, which inspired her to write The Krampus Chronicles.